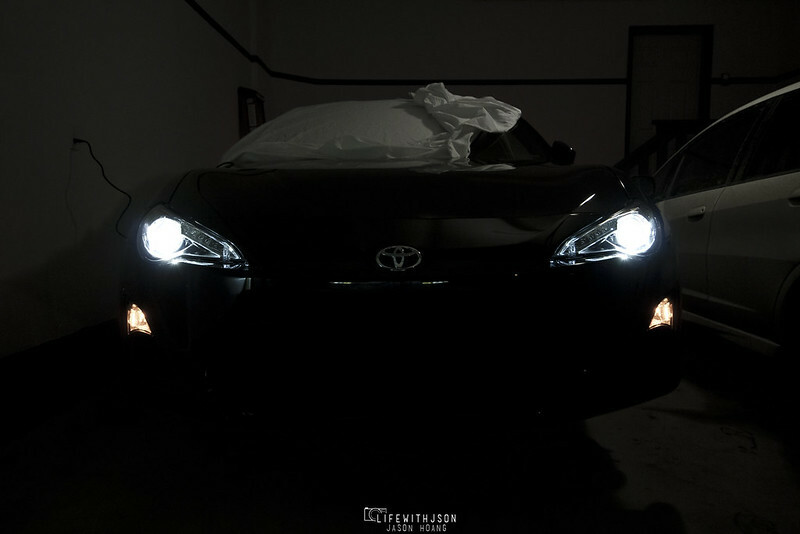 OK I promise this should be the last headlight-type post that I post for a while. 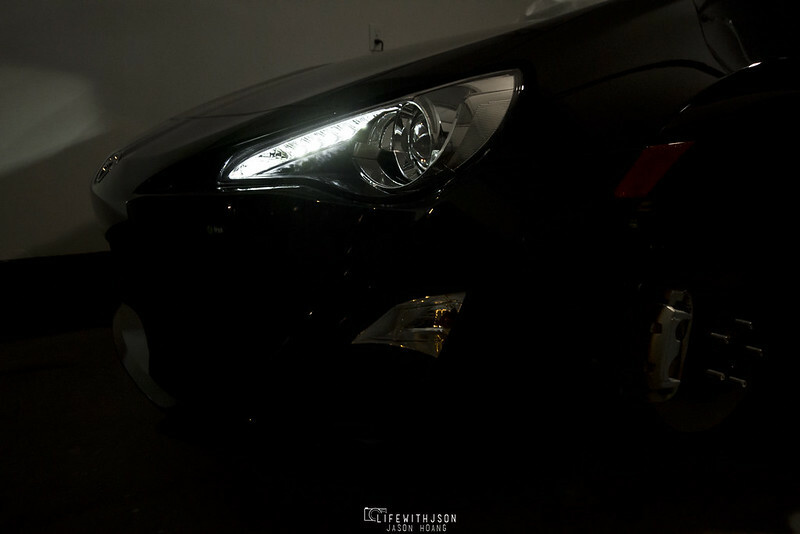 I’m still trying to get over how sick they are… I mean, they’re no BMW laser lights or anything, but they are a huge upgrade over stock lights for sure and the fact that they don’t come on every FR-S makes it a little more special. I know in my last post, it was difficult to tell what it looked like when the LED’s or HID’s were on because it was so bright out so I decided to fire them up one more time at night to try and get some shots and see how bright they were. The LED’s are pretty damn bright on their own – not enough to light up the road at night, but enough to be quite noticeable. 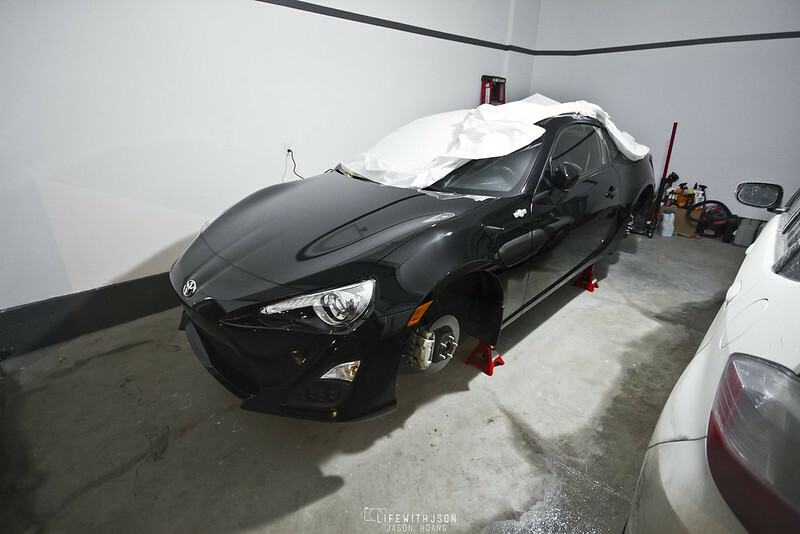 The HID’s are nothing surprising… Although I am looking forward to changing them out to Osram CBI’s as per Alex’s recommendation. Alex and I share the same type of unhealthy obsession for the perfect lighting set up… We’ve tried everything from Morimotos, probably had our fair share of cheapo no-name ones, and the somewhat exclusive Philips Ultinons… Alex got his hands on a bunch of Osram CBI’s for all his cars and loves them, so that’s the next step! 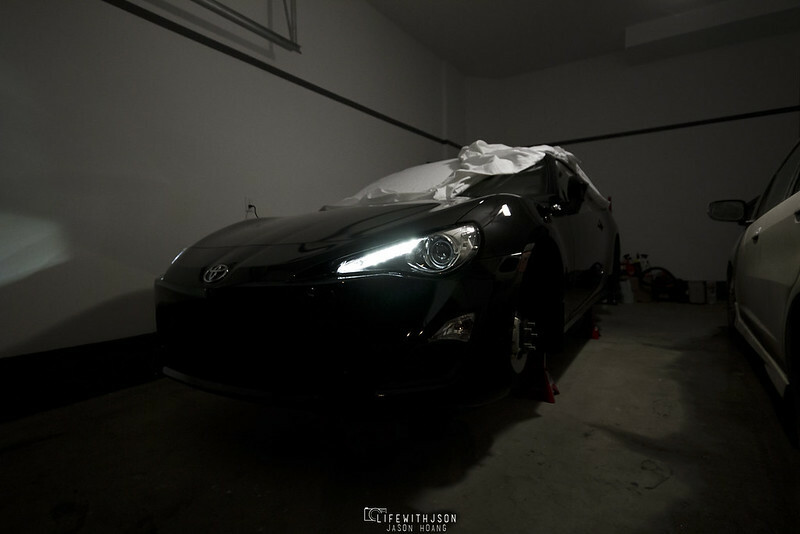 But I digress… Here are just some lighting shots for you guys to see a little more closely. Here are the lights with the HID’s powered up. 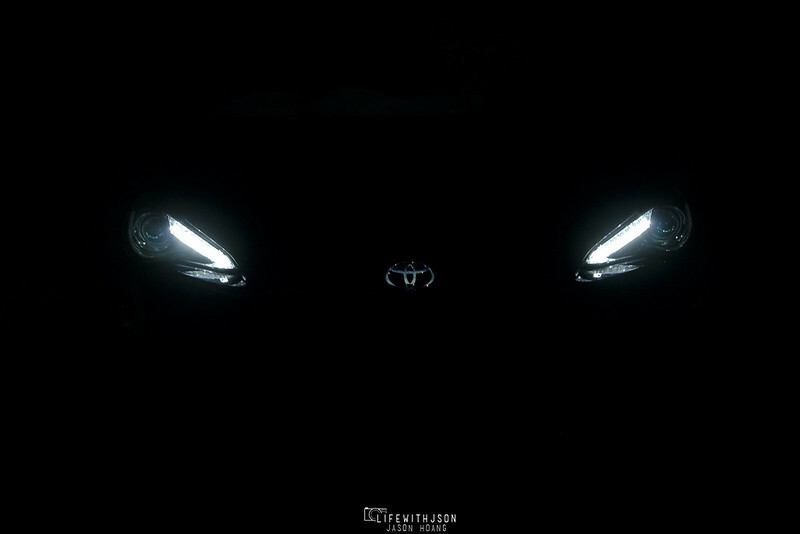 And the creme de la creme of the headlights – the LED DRL’s! A close up… It’s hard to get a good picture that depicts how it really looks. The color of the LED’s are actually a pure white with no blue or yellow tinge at all.